Paco Burgos had a message for his Charlotte Rangers teammates after this September 1989 playoff win, according to The Sarasota Herald-Tribune. With the victory that night, Charlotte went up 1-0 in the best-of-three series against St. Lucie, with Games 2 and 3 on the road. "Take only one change of clothes to Port St. Lucie tomorrow," Burgos told his teammates, according to The Herald-Tribune. Burgos' Charlotte Rangers went on to win the league championship that year. Burgos, concluding his fifth professional season, went on to play three more years. He made AAA, but he didn't make the majors. 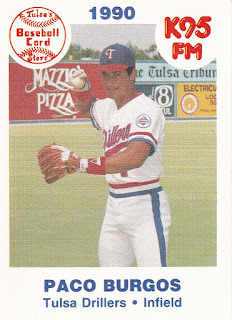 Burgos' career began in 1985, signed by the Rangers as an amateur free agent out of his native Puerto Rico. Burgos played his first season with the Rangers in the rookie Gulf Coast League. He hit .257 and knocked in 19. He moved to single-A Daytona Beach for 1986. He hit .239 there, including a run-scoring single in July. He played at single-A San Jose in 1987, then single-A Gastonia and Port Charlotte in 1988. Burgos played all of 1989 at Port Charlotte. He hit .292 and had 64 RBI. He went 2 for 3 in a May game and knocked in two on an August single. 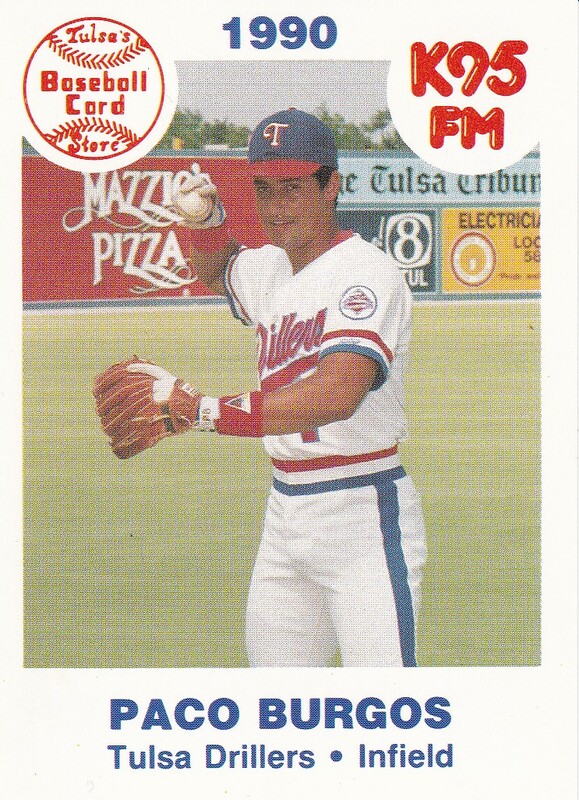 Burgos moved to AA Tulsa for 1990, hitting .257 there over the season. He returned to Tulsa for 1991. He also got nine games at AAA Oklahoma City. His final season came in 1992 at AA Memphis with the Royals. He hit .201 there, ending his career.